Hi All, Maria here and today I'm back to discuss a topic that we feel really needs to be addressed on theHealthBase. We've covered skin lightening methods extensively on this website, in particular natural methods that deliver results. In today's article I want to dive more in depth into injections that provide whiter skin and whether they should be considered. Should you use them? Are there better, safer alternatives? What are The Glutathione Injections Used For? The skin has a pigment known as melanin, which is responsible for the different skin tones that each person has. This pigment consists of two types, namely, eumelanin and pheomelanin. More eumelanin in the skin causes the skin to be darker while increasing pheomelanin in the skin will tend to give you a lighter tone. Permanent skin whitening injections are trending nowadays as people prefer lighter and glowing skin tone over dark ones. A substance called glutathione is injected into the body which helps in skin brightening. This substance can also be found in pills but better results are seen through injections, which is why, people prefer them over the pills, today. Although, consuming the pills reduce the effectiveness of glutathione as it gets damaged once it is in the stomach and reacts with the digestive enzymes but, it is necessary for you to know that injections are even worse. The substance, glutathione, works on the skin’s melanin, by converting eumelanin into pheomelanin and you tend to get a lighter skin tone. Glutathione, the antioxidant that is naturally found in our cells, is known for neutralizing free radicals, detoxifying the body, and also boosting the immune system. The main purpose of the substance in the body is to lighten or whiten the skin tone by converting eumelanin to pheomelanin to get the desired results. The substance also works on an enzyme tyrosinase that acts in the production of the pigment melanin. These injections are meant to lighten the skin tone naturally by inducing the substance in the body which also prevents scarring and dark patches on the body while giving an overall whitened skin tone. Glutathione is also available in the form of pills in the market which can be taken orally, but studies based on individual reports have shown how the method does not have a rigorous effect on achieving the desired results. The trend of using injections has steadily risen in demand over recent years, especially in Asia where people often have darker skin tones but a lighter skin is considered desirable. The antioxidant, glutathione, is naturally synthesized in the human body and also has many roles to play in treating various diseases. The substance is present in various food items as well but that does not lead to any changes in the skin tone, which is why oral supplementation is not suggested if you are looking for fast and effective results. Glutathione has a number of uses other than lightening the skin color like treating Parkinson’s disease and it can be very helpful in reducing the side-effects one might experience due to undergoing of cancer therapy. For skin brighteners, the use of glutathione has anti-melanogenic effects on the body which is scientifically proven. Using the substance for in high dosages has been proven to cause harm to the individual resulting in serious health issues. Thus using the substance in right amount is important and should be done only on prescription. If the procedure is carried out with unhygienic equipment, it can pave the way for the attack of harmful microorganisms. This can cause various diseases and a long-term effect on the body. Life-threatening diseases can form in your body if non-sterile needles are used or the same needles are used for more than one individual. This can lead to the transmission of germs from one person to other causing harmful side-effects to you. Carrying out the procedure at a reputed facility is suggested to avoid such situations. The glutathione that is injected in the body is artificial and synthetic. Injecting any synthetic substance can be harmful for your health. One of the main causes for skin cancer is going through the process of injecting synthetic substances into your body. If you have sensitive skin, it is more likely that skin irritation, rashes, itching and burning sensation might be experienced after you undertake the process. 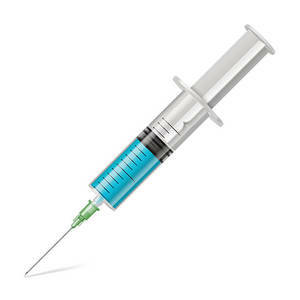 The use of glutathione IV in high doses for has been seen to cause drug reactions on the individual’s body like skin rashes, Epidermal Necrolysis and Steven Johnson Syndrome. It also increases sun sensitivity which can be a cause for skin cancer. There have been a number of cases where the individuals have reported of kidney failures and dysfunction in the kidneys which are caused due to these injections. When you go through the process of introducing brightening ingredients into your body through injections, the use of injections can lead to embolus, a condition which results due to the injection air along with the substance used. Numerous diseases can form as a result of use with severe long term impacts. You might think you are stuck between the desire to whiten your skintone and the severe side-effects that you might have to face if these injections. Well, there are other ways to get your desired results. There are a number of safe alternatives with which you can achieve whitened skin without having to worry about the risks of using these glutathione injections. The price of these alternative methods will definitely make you rethink going down the unsafe route. Glutathione is not the substance that is harmful to the body when you take it in less or proper amounts. The fact that the substance is present in some kind of foods will also help you in the process of achieving lighter skin tone naturally. Certain fruits and vegetables like, asparagus, peppers, carrots, tomatoes, grapes, peaches, bananas, melons, broccoli, avocados, squash, apples, garlic, and spinach are a very good source of nutrition and also have glutathione which will definitely help you to get lighter and glowing skin. They must be consumed fresh and not cooked in order to derive the rich nutritional value of glutathione in your body. Fruits and vegetables that are rich in vitamin C and E are a very good source of glutathione. Oranges, broccoli, red peppers, strawberries, guava, grapefruits, kiwi, and green pepper are some of the foods that are rich in the above-mentioned vitamins as they are helpful in increasing the glutathione level in your body, effectively. Oats, Brazil nuts, cereals, beef, tuna, cheese, legumes, walnuts, and eggs are a great source of selenium which is considered as a co-factor for the enzyme which produces glutathione in our body. Thus, consuming foods rich in selenium will help your body to produce glutathione and lighten your skin. Glutathione is present in high amounts in fresh, uncooked meat, eggs, and also dairy products. They are a high source of whey protein that is best known for naturally increasing glutathione in the body that not only helps you to lighten your skin tone but also helps in boosting the immune system and fighting cancer. We've clearly highlighted 4 alternative methods you can use above but there is one method that far exceeds all other options. We highlight this below in it's own section as we've personally experienced positive results and can recommend this solution to our readers. Using cosmetic products can also be beneficial for lightening the skin without worrying about severe side-effects which you will face when the synthetic substances are injected into your body. Mostly, these cosmetic products come in the form of creams, lotions, and oils which you can apply to your body to get the desired results. There are natural beauty products available on the market today which consist of natural herbs and other such ingredients to help you in achieving the results. The creams, when applied to darker areas of your skin, will simply work their wonders on those areas to lighten them in two to four weeks’ time. 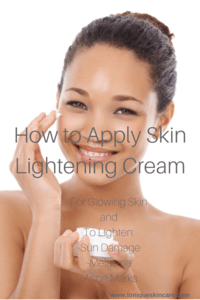 The acid is mostly used today in creams, as an alternative to hydroquinone, to help in lightening the skin tone. It comes from a fungus that is used in Japan to make Japanese rice wine (Sake). This ingredient is very useful and good research has been done before using it in the creams. An extract from the bearberry plant is commonly used in whitening-skin creams and is known for its effectiveness in reducing melanin pigmentation in the body. It is pretty expensive and you will not find it in cheap products. We recommended only safe methods that don't rely on heavy costs, which fall outside of many of our readers' budgets. Instead of opting for unsafe methods, used results driven organic and natural methods. The best skin whitening cream that you can get in the market today with all the essential ingredients and no harmful chemicals is meladerm. The product is natural and designed miraculously to help in lightening the darker spots, stretch marks, hyperpigmentation, and discolored skin caused due to scarring, etc. Here is a list of the natural ingredients which are used in this unique formula to manage hyperpigmentation and other skin darkening issues. Alpha Arbutin – Like mentioned above, this is a very useful ingredient which is present in the cream. It is fast and effective for lightening skin tone and acts on all skin types without causing any harm to the skin. The effectiveness of this ingredient has been proven through a number of studies and this is the key ingredient of the cream. Jojoba Oil: This ingredient possesses superb moisturizing capabilities. Studies have also been carried out that shows this oil prevent infection from occurring. Allantoin: Increases the smoothness of skin complexion as well as boosting the proliferation of skin cells which is essential in aiding in the healing of damaged areas. Aloe Vera: Works to add exfoliant elements that minimize the risk of skin irritation. Also boost smoothness. Kojic Acid – It is a very important ingredient that must be used to lighten the skin tone as its ability to reduce age spots and hyperpigmentation is marvelous, giving you a glowing brighter skin. Like with any product, you must be realistic with your expectations of how quickly it will work. 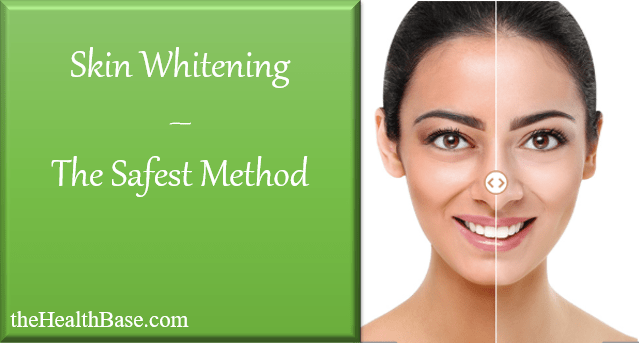 Products such as Meladerm and Skinbright do not work like bleach to whiten the skin in a day. Its natural and effective ingredients will lighten the dark spots, hyperpigmentation, scars, and age spots and give a brighter complexion over a period of several weeks. It will make your skin lighter and is the best when it comes to choosing a risk-free skin lightening treatment. It must be remembered that your skin is delicate and you must refrain from the use of products that can harm it. As such, it is our recommendation to avoid the costly and harm injections that may “appear” to be a great idea. We recommend opting for a safer solution such as a cream that delivers results even more effectively. Compromising on the quality of the product for a cheaper price isn’t worth it, in particular when it comes to something as important as this. Products that include parabens, mercury, and hydroquinone can cause serious side-effects. Therefore, make sure you read the labels and avoid anything that contains this. Products, like SkinBright, which are free from hydroquinone and parabens, are a recommended to use. They help in getting the desired results without causing any significant side-effects. To get the best results, apply the skin whitening cream twice daily. Do not wash the skin right after applying the cream and applying sunscreen, moisturizer and makeup are fine after applying the cream. Apply the cream on wet skin after you soak it with warm water which helps in opening the pores of your skin and allows it to absorb the nutrients better. Apply the cream and rub the surface gently until it is completely saturated in the skin to get best results. Keep us informed in the comments below on your suggestions or experiences using either the injections, creams or other natural methods.